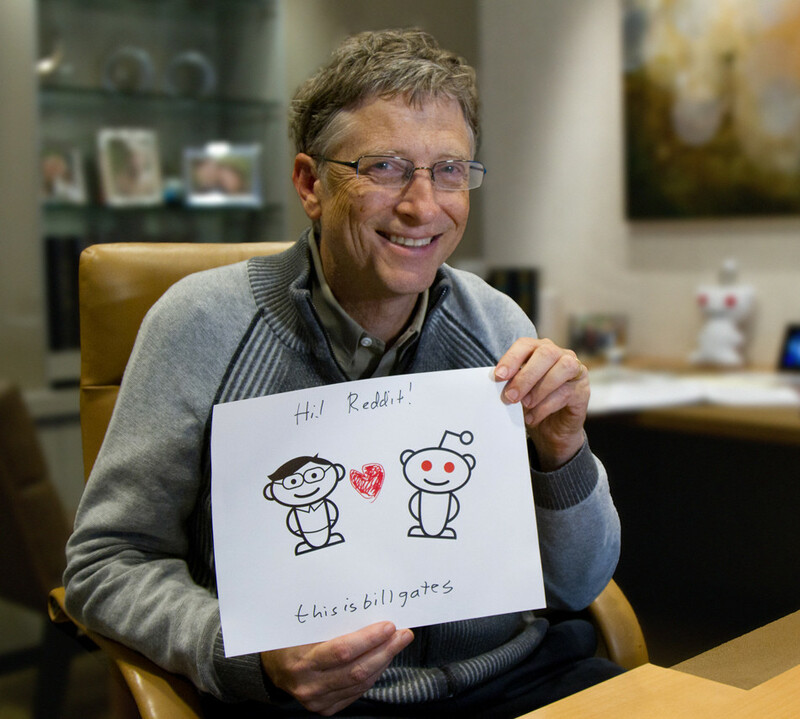 Bill Gates is currently (as of this news post) doing his first ever Ask Me Anything on Reddit. He has already posted his verification image and even a video of a few of the common and popular questions he has received which you can see below. Hi, I’m Bill Gates, co-chair of the Bill & Melinda Gates Foundation. Ask me anything. Many of you know me from my Microsoft days. The company remains very important to me and I’m still chairman. But today my full time work is with the foundation. Melinda and I believe that everyone deserves the chance for a healthy and productive life – and so with the help of our amazing partners, we are working to find innovative ways to help people in need all over the world. I’ve just finished writing my 2013 Annual Letter https://www.gatesnotes.com/. This year I wrote about how there is a great opportunity to apply goals and measures to make global improvements in health, development and even education in the U.S.
I’ll be answering your questions live, starting at 10:45 am PST. I’m looking forward to my first AMA. Join our ongoing discussion on the Lunarsoft Forums about Bill Gates AMA.